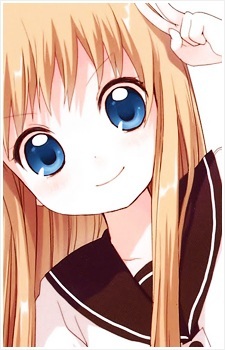 Toshinou Kyouko is the founder of the amusement club. Goes so wild that no one can keep up with her, but it's not as if anyone even tries in the first place, so it's ultimately no big deal. She is actually an otaku who creates her own doujinshi of Mirakurun, an anime character in Yuru Yuri. Her favorite ice cream is rum raisin. If you've got a thing for blonde haired anime bombshells, then this article is for you! They are not only cute and pretty, but also incredibly talented, smart and efficient. Let's take a look at the 20 most popular anime girls with blonde hair on MyAnimeList!